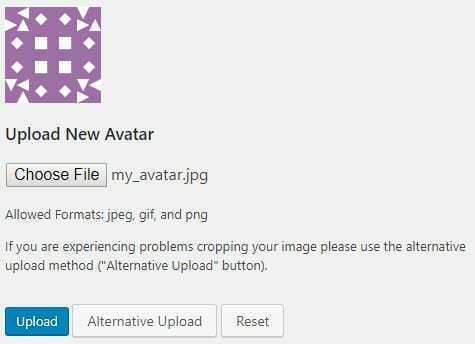 Create and upload a user avatar. The user avatar, also known as your comment avatar, displays in places where you leave comments and next to posts you publish on some themes. Your avatar is an online representation of you. 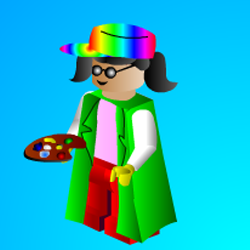 Your first task is to create your avatar using an online avatar tools. 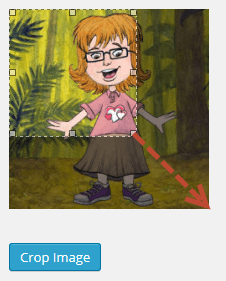 Most online avatar tools create rectangular images whereas your user and blog avatar are square. Allowed image formats are jpg, gif, and png. For best results use jpg. We recommend you edit your avatar or photo to 200 pixels wide by 200 pixels high using an image editing program such as Picture Manager, MS Paint or iPhoto before uploading. Remember to save it as a jpg. If you still see the old avatar after uploading your new avatar it may be your web browser remembering your old image. Hold the Ctrl key and press F5 to clear your browser cache or right mouse click and click Refresh (Reload). 3. 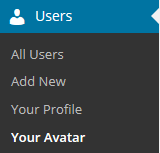 Click on Choose File, select the avatar you want to upload and then click on Open. 5. Expand the crop area to include your full image and click Crop image. 6. Now when you view a post where you’ve left a comment you will see your new comment avatar. If you still see the old avatar your web browser may be remembering your old image. Right mouse click and select Refresh (Reload) to clear your web browser cache to view the latest version of your image. 6. You can also upload a blog avatar in Settings > Blog Avatar. 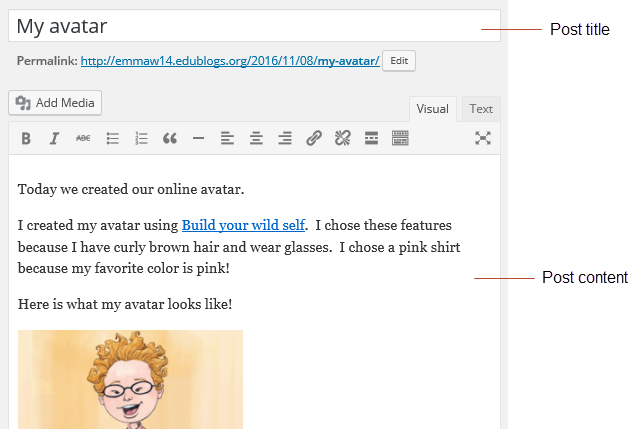 The blog avatar is displayed in your sidebar when you add the Blog Avatar widget in Appearance > Widgets and in the Class blog widget if the avatar option is selected. Now you’ve changed your theme and set up your user avatar it’s time to write some posts so your teacher and other students can leave comments on your posts. Your first post might be about why you are blogging, what you will be writing about in your blog or you could write a post about your avatar, how it represents you and which website you used to create your avatar. Alternatively, your teacher may have given you a task to write a post on. Only ever use your first name. Don’t publish personal details about yourself such as your surname, your address, email address, phone number, or date of birth. Don’t share personal photos online. Be kind and compassionate. Don’t publish posts, photos or videos that could hurt someone else. This visual by Kathleen Morris might provide some useful reminders. 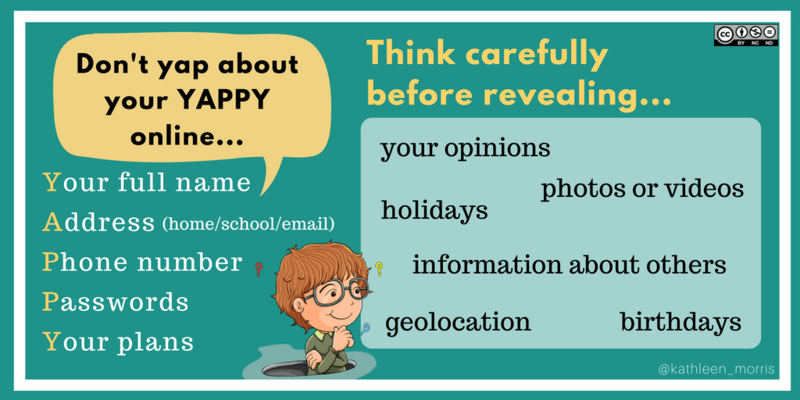 While there are many things that definitely shouldn’t be shared in your blog posts (YAPPY), there are some grey areas. We recommend you think before you post and always discuss anything you’re unsure about with an adult before posting. 1. Go to Posts > Add New. 2. Give your post a title and click Save Draft. 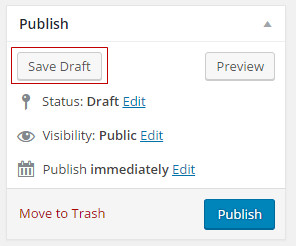 Make sure you regularly click Save Draft as you write your post. 4. When finished writing click Publish or Submit for Review. 5. Your post will now display on your blog so others can read! Before you publish your post it is a good idea to use the Preview option to see what it looks like to your readers. You preview a post by clicking on Save Draft and then click Preview. This opens up a draft version of your post in a new tab. Then just go back to your draft and make any changes you want! The area where you write your post is by default in Visual Editing mode which uses WYSIWYG (What You See Is What You Get) option for formatting. It works similar to any Word processing software. 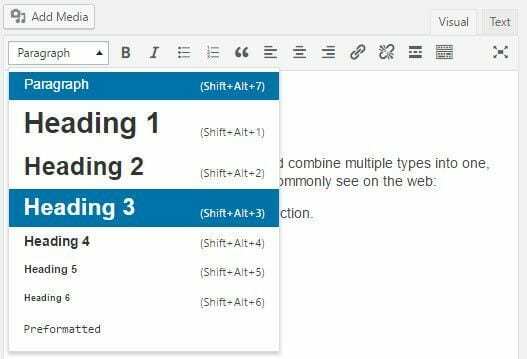 Simply write your post, highlight any text you want to format and then click the appropriate button in the toolbar to add formatting such as bold, italics, number list. The Toolbar toggle icon is used to view the advanced formatting options including heading styles, underlining, font color, custom characters, undo, redo. You switch between Visual Editing mode and HTML editing mode by clicking on the Visual or Text tab. Feel free to print the following PDF guide on how to publish a post, or download it to your computer. Reading online is different from reading in a text book. The easier to read and more engaging your posts are the more likely they’ll be read and the better your message will be conveyed. 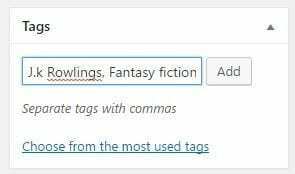 Categories and tags on posts help readers locate content on your blog. 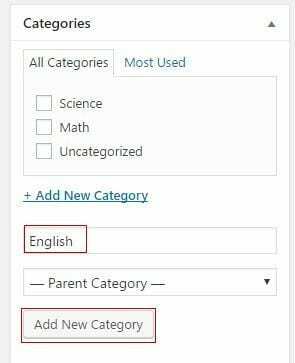 For example, you might use a category for each school subject such as: English, Math, Science, PE, English, Drama, Design, Art and Random. The Random category is used for posts you publish on topics that you are passionate about that may not be school related. Say you wrote a book review on ‘Harry Potter and the Philosopher’s Stone’ you might assign it the category English and tags might be J.K Rowling, Fantasy Fiction, Harry Potter. 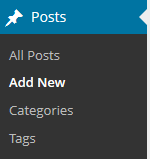 Categories and tags are normally displayed at the top or bottom of the post and using the Category widget and tag widget in your sidebar. You will be adding these widgets in Step 6: Add Widgets. When your readers click on a categories or tag link on a post or in your sidebar, it loads a page with all posts that use that tag or category. 1. Select the category you want to use or create the new category using Add New Category. Click on Add New Category. Type in the new category and then click on the Add New Category button. You should see that category selected in the Category module. 2. 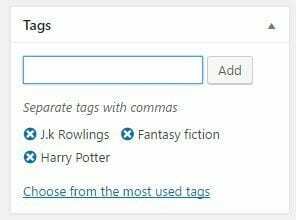 Now add your tags by entering your tag terms with each tag separated by a comma and then click Add. Posts with really long paragraphs are harder to read online. Break your posts up with paragraphs. The more paragraphs the better. Short paragraphs are better than long. If you need to make some paragraphs one or two sentences long so they are visually easier to read online then do it if needed! Make the first sentence of each paragraph make your readers want to read the rest of the paragraph. Use headings, and where appropriate bullet points and number lists, to break up the post into manageable bite sized chunks. 1. Highlight the text you want to change into a heading. 2. Select the Heading Style you want to apply from styling drop down menu. Heading 3 works the best for most themes. 3. The text you highlighted should now be a heading and look different from the other post text. 4. Preview your post to make sure that headings you’ve used have broken your post into easily read chunks of text. When you write about a website you should link to it as your readers often want to check it out in more detail. 2. Highlight the text you want linked to the website and click on Insert/Edit Link button. 3. Paste the URL into URL box and then click Apply. 4. When you view your blog you should now see the text is now linked in your post. Colored text is sometimes used to engage readers and draw attention to specific information in posts. You’ll see examples of it used in posts on the Student Challenge blog. Preview your post to make sure the text is readable and you like the color. Blogging is about sharing, collaborating, and learning from each other. Here’s your chance to ask a question, comment, and get involved! 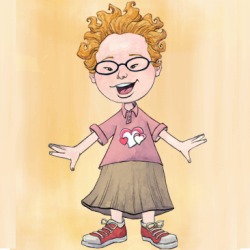 Create an avatar using an online avatar tool and upload it to Users > Your Avatar. Publish your first post or submit a post as pending review for your teacher to check. Your first post might be about why you are blogging, what you will be writing about in your blog or you could write a post about your avatar, how it represents you and which website you used to create your avatar. Check out My New Avatar (and my tenth post!) to see how Brianna wrote about her avatar. Leave a comment on this post and tell us how you went creating your avatar and writing your first post. Remember to leave a link to your post in your comment so we can have a look at your new post. The blogging tips were very useful and showing the steps to making an avatar was also useful. 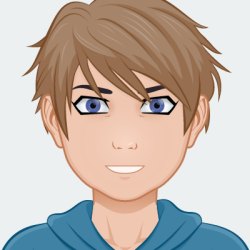 I wanted to use one of my own drawings as an avatar, so I didn’t use one of the avatar creation tools to create my avatar. This is a drawing that I’ve had for a while, so there’s not much to say other than the fact that I took a picture of it and uploaded it. 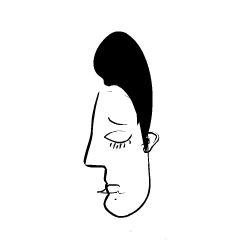 I did check out Picassohead, though, and it was pretty fun to play with! I ended up posting on my Write Club blog to tell people about it in case they want something other than the default avatar, but don’t know what they want. Creating my avatar was fun, but it does not really look like me. I wish there was more choices with hairstyles. Posting tips were very helpful. Creating the avatar wasn’t that difficult. I found it fun actually. I wish there were more options to customize my character. Writing my first post was more difficult than I thought. I wasn’t exactly sure how to do the tags or categories because my first post was “about me”. Due to this I put it in a “random” category. Creating my avatar was pretty fun. My first blog post was my welcome…to my students mostly…and not really for visitors to my blog. I’m not sure if that was a mistake or not. We’ll see. 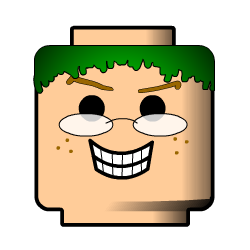 I personally did not like making a personal avatar because most of the websites didn’t have many options to customize. I decided to upload my own picture as my avatar, I followed all the steps to uploading my picture. With my post i did it on what i wanted to learn in the class & how i want to improve & know more about in the class, & how its going to help me in the long run. 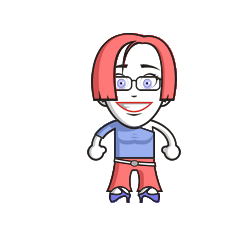 When I was creating my avatar it was very easy, and I tried to make it look like me as much as possible, as with writing my post, it was simple and understanding. I did not make an avatar i chose a picture of myself and i glad i got to choose my own picture. 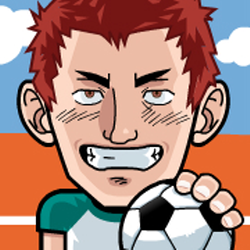 I clicked on the avatar that seemed the most simple and made it look relatively like myself. The links to make your avatar were very helpful. This so amazing you can make your self. It sure can be fun, Abigail! How I created my avatar will be in the post.